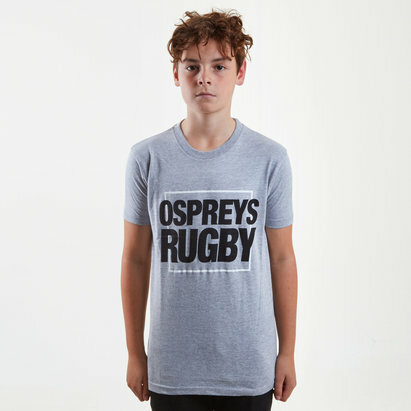 Showcase your love for the Ospreys while showing how much style you have with this Ospreys Mini Kids Rugby T-Shirt. The Ospreys of theGuinness Pro 14 became the first and only Welsh regional team too beat a major touring side when they defeated Australia 24-16 in 2006. They are the most successful Welsh team in the history of the Celtic League or Pro 12 tournament. This t-shirt has been crafted from a soft fabric to keep you feeling just as comfortable by the end of the day as you were at the beginning. 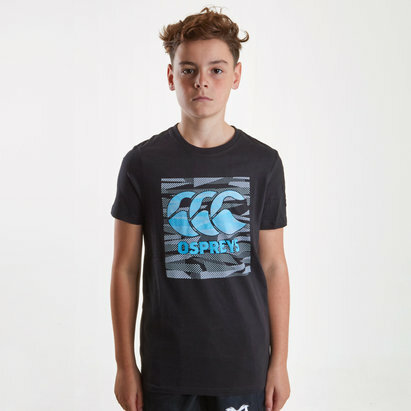 With a round neck this tee offers a relaxed feel and comes in a white colourway. 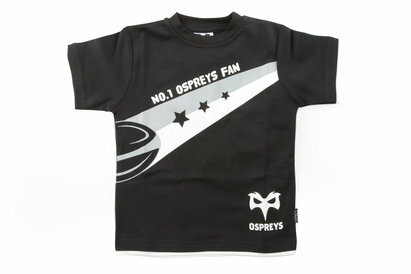 With an Ospreys across the chest this shirt will show exactly where your allegiance lies.